Australia’s leading and best payment gateway. We’re big fans of eWay. They’re Australia’s best payment gateway, allowing websites to take credit card payments without the requirement for onerous integration with banks and banking networks. We roll eWay into every eCommerce client we have. We’ve separately been working with eWay the past few years on the growth of their brand website assets. Recently, eWay announced a venture with online accounting platform, Xero whereby customers of Xero can take credit cards for payment of invoices. 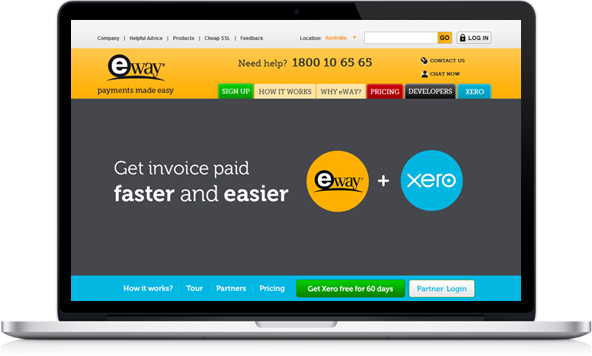 We’ve rolled out a series of landing pages for eWay, integrated with the Unbounce A/B platform.